You can never have too many butterflies and here's a border for you. Please be kind enough to leave a comment if you download the file otherwise I never know if it's worth while for me to continue posting freebies. It's a while since I posted anything as I have been away on holiday and I also seem to be a bit lacking in inspiration at the moment. Anyway I managed to come up with this which I think is a bit of fun. Just a paper piecing aperture card finished off with a bow and gems. You can find the template here and the skintone and patterned papers are included with the file. Am working on another freebie to share so watch this space ! I have been struggling for new ideas but finally came up with these cards - the templates are available on my website. 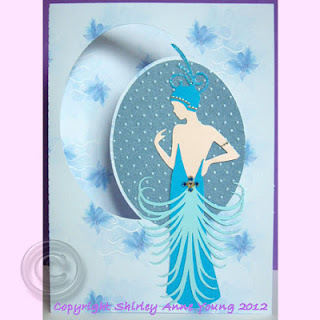 You will probably recognise the swiss dots embossing folder that I've used on the Art Deco Card. I use this folder so often I think I shall be wearing it out if I'm not careful !! 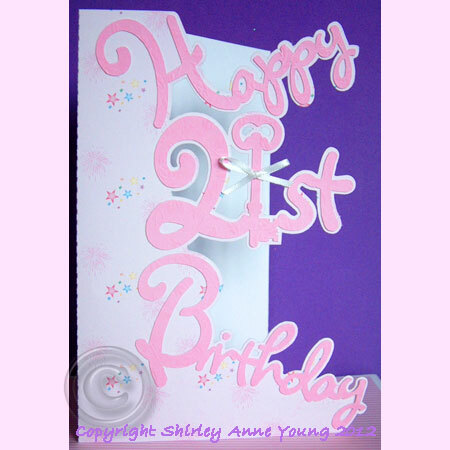 I designed the templates & papers for all the cards using Adobe Illustrator. I have had this program for quite a few years but am still learning and finding new features. This is paper I did last week but didn't get round to posting. 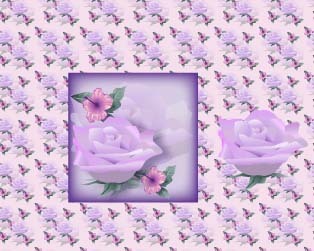 As well as the backing paper the zipped file includes the topper and single rose in png format so they have transparent backgrounds for easy use with programs such as Craft Artist etc. For anyone with a Cameo/Silhouette there is also a print and cut file for you to download. Download Paper & Toppers here.